The show was a little late this week, because as our friend @ioshints put it, we had a “cloud ladder failure” on Sunday: Greg’s broadband was out. But when we finally gathered ’round the great big conference room in the sky, we did it up right. Dan was coming in loud and clear on his new Mac Book Pro, Greg reminisced about the good ol’ days of FDDI-to-token ring bridging, and Ethan made bold predictions about the virtualized networking future. First up was VMworld. We didn’t go, and didn’t care (much). Okay, maybe we did want to hang with all the cool kids. But whether here or there, we were paying attention, and some interesting products were announced from Cisco and (naturally) VMware. Cisco’s Virtual Security Gateway integrates with the Cisco Nexus 1000V and provides a host-facing firewall as part of a defense-in-depth strategy to secure your virtualized environment. VSG is tightly integrated with your VMs, such that the security policy you build will follow a VM during a VMotion event. Cool stuff, we say. Read more about VSG from Omar Sultan, and watch a 3+ minute overview from Cuong Tran on the Cisco Data Center YouTube channel. Not to be outdone, VMware announced their vShield product family, pushing the mantra of “IT as a service” and trying to make security easier to deliver and flexible during change. Do you want VMware to become the networking provider of a cloudy, virtualized world? Read even more about VMware’s long-term networking vision over at Wikibon. 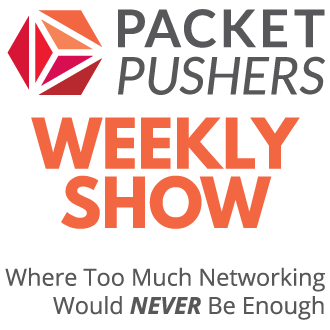 The Pushers talk about the networking world colliding with the server world at the junction point of VMware. Do you do VMware? 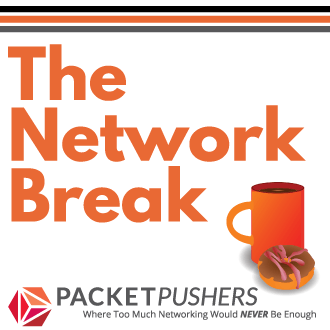 Time for us network geeks to dive into the deep end of the virtualization pool…so say we all! Ethan and Greg are headed over to San Jose on 9/15 – 9/17 for a GestaltIT.com Net Field Day event. We’ll be tweeting and live blogging about the vendor presentations, and you can participate! Send us the hardest questions you’ve got for the vendors, ’cause we’re talkin’ to the boffins, not the marketing types. Vendor list coming soon. Xsigo would be delighted to sell you an ethernet-attached virtual I/O appliance. Bolt it into your rack, select the modules appropriate to the sort of data you’d like to shovel across your ethernet, and you’ve got a low-cost way to take advantage of that network you’ve already got. For example, you can do FCoE without the cost and implementation challenges of a converged network adapter. The ethernet NIC you’ve already got will work just fine! Xsigo says more modules are coming. Is VEPA a gamble? What about TRILL or FabricPath? What’s an architect to do when the network world is changing oh-so-fast, but a data center design must be finalized today?